HOLY MOLY! The summer berries are looking (and tasting) super good! Chocolate-Covered Strawberries are a classic treat. Regardless of your dietary affiliation (paleo, vegan, vegetarian, raw, etc.) these delightful berries are always permissible. A fantastic addition for any gathering such as movie nights, romantic dates, birthday parties, potlucks, and picnics. Pro Tip: Once you’re done dipping the berries, use the remainder of the chocolate to make these. Lay a sheet of wax paper on a flat surface. In a small pot, heat a cup or two of water to boiling and top the pot with a clean metal bowl (make sure there’s no water in the bowl). Add chocolate and shortening to the bowl. Using the stem or a skewer, dip berries into the chocolate and place on wax paper. Chill to set. 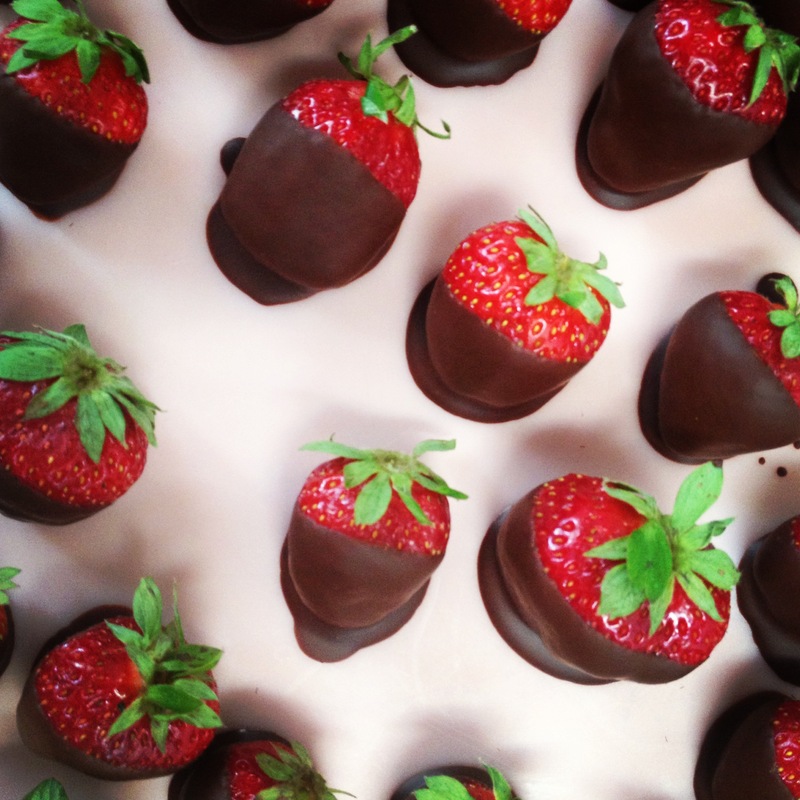 i love a healther chocolate covered Strawberries. I will no longer buy the tub of dip for my strawberries. I also put chopped nuts or coconut on the chocolate coated strawberries. Ymmm! Farmers Market tonight for our weekly date-night, then home to woo & win her heart (again? . . . still?) with strawberries & chocolate!